Does your next project deserve to get a place in your passions portfolio? You discover a new topic you want to explore. Holy crap, that’s bad news! Because it means another project is added to your passions portfolio and it immediately takes a priority 1 ranking. You know for yourself, you’re suffering from the new shiny object syndrome, but you’re so stoked up about it! The problem is, you already have over one hundred projects in your dream catcher, which is your repository for possible projects and your current passions portfolio is completely full. Should you start right now with this new project? Again, there is big chance that you will leave this project or other ones unfinished. Does it deserve to have a place in your projects and passions portfolio? Your heart is singing: “Yes, yes, yes”. Your gut feeling is saying: “Go for it!”. And I don’t want to break your enthusiasm but maybe we should let the head speak as well. What are the criteria to add a passion or project to your passions portfolio? 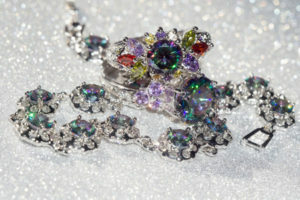 There must be some objective criteria to decide whether or not to add a project or passion to your passions portfolio. A project or passion to add must generate some kind of value and must deserve its place in your passions portfolio. The next thing to see, and this is the most important, is to see if your project or passion to add is in line with your vision, your values and your beliefs. Actually this filter should already be set for your dream catcher. It doesn’t make sense to spend time and energy on projects or passions that don’t meet this basic criterion. But if it does, then there are more criteria to help you decide. The list below gives you these criteria, so you can use them as a basis to decide whether or not to add this project to your passions portfolio. Make you belong to a group or make you more loved by your family, friends, peers etc. You contribute to a higher goal beyond yourself like serving others, spirituality etc. You’re not limited to just one criterion. It can be combinations of any of the above. Ikigai is Japanese and means “a reason for being” or in French “raison d’être”. Finding your Ikigai can be tough and can take time, but it will give you fulfilment and a meaning to life. 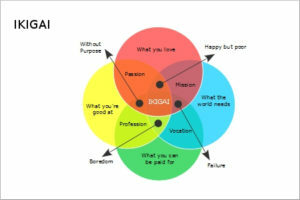 You find Ikigai when you can combine all four initial criteria (what you love, are good at, can be paid for and what the world needs). When your new project answers these criteria, by all means, go for it and add it to your projects portfolio. You found your reason to get up in the morning and to live a purposeful life! It’s the most useful and best article I’ve read thus far on passion pilot! I’ve started my own company just recently, and every new article is like a door to a light! Thank you so much for the compliment! It makes my day and you rock! Thank you so much actually, for your dedication to spread the word and knowledge of multipotentialites! Thanks for this! The more I read things here on PP, the more I understand myself. Ikigai is a great tool for potential prioritization! I’ve used it, at first it was a tough decision putting profession on top though because my mood goes to passions, but it did me well on my career without letting go of things I love along the way! Great read. I’m convinced that you need to know yourself and what’s important to you, so you can prioritise your projects. Thank you!! This article is very useful for me too. Ikigai is the word that many people think about or talk about in my country. Choosing project or job is always difficult, at the same time, it’s crucial for our life. this article will be my guidlines to choose my project! Thank you for the kind words. I’m happy I can help you. I came across the concept of Ikigai some time ago and it made perfect sense to me. I use it a lot myself. As you subscribed to the newsletter, you have free access to my course “Set up your passions portfolio in five easy steps”. The link is in the email that follows your subscription confirmation. If for one reason or another, you didn’t receive it, or you have any questions or want to give feedback, please email me at nickita@passionspilot.com .